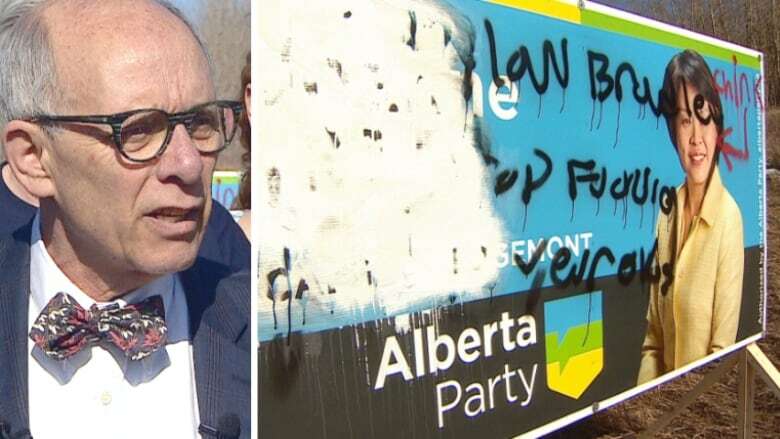 The Alberta Party says it is outraged by racist graffiti that was sprayed on a candidate's campaign sign in northwest Calgary overnight. 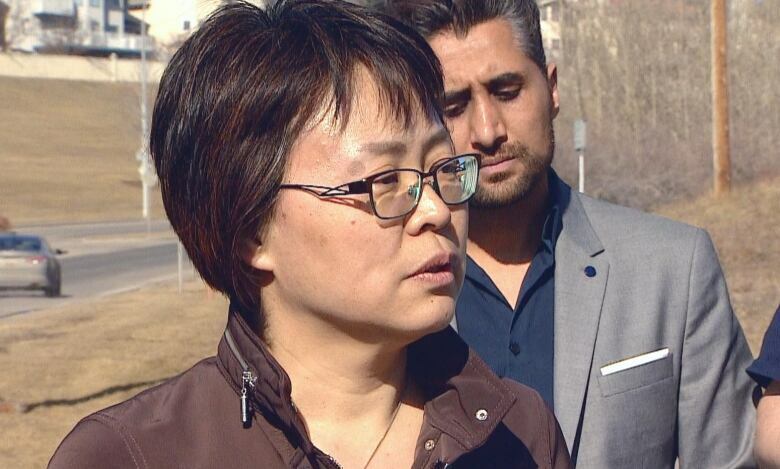 Calgary–Edgemont candidate Joanne Gui awoke to find the racist phrases, which prompted party leader Stephen Mandel to come to Calgary and speak out Thursday. "In today's Alberta, there is no place for this. And all of us in the Alberta Party, I'm sure everybody, condemns these kind of actions and it's quite sickening, to be honest with you," he told reporters. "Joanne's an incredible candidate, someone with great contributions to the community. The entire community is remarkable. It has helped build this province, so these kind of actions to any of our cultural groups is so unacceptable it's unbelievable." Gui said she feels it's her duty as a minority woman to stand up against them. "I think that the only thing I can do is be stronger, be better, and not let those people to win. We have a better message, and we stand together," she said. Alberta Party MLA Karen McPherson — who is not seeking re-election when the province goes to the polls on April 16 — tweeted her support for Gui, pointing out that Thursday is International Day for the Elimination of Racial Discrimination. Deborah Drever, the NDP candidate for Calgary–Bow, also had one of her signs defaced. She tweeted a photo of one of her signs on which someone had written "death to Marxists."